When it comes to get to the airport, you can not leave it to luck. That is why the San Jose Shuttles offer an exclusive and direct service to the Bay Area airports, providing you the confidence you need to get your trip started, with the assurance that we will pick you up on time and take you to your destination as planned. 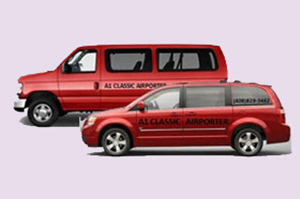 Airport Shuttle Service San Jose to Fremont, Santa Cruz & Los Gatos CA. Copyright © 2014. San Jose Shuttles.com All Rights Reserved.